Our practice takes pride in utilizing advanced dental technologies that increase patient comfort and satisfaction. 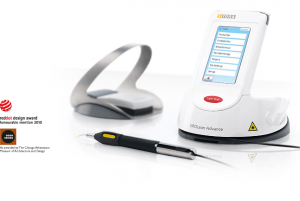 SIROLaser Advance, a sophisticated soft tissue laser, allows us to perform cosmetic, endodontic, and periodontic procedures with greater accuracy and less discomfort. This state-of-the-art soft tissue laser provides an ideal experience for patients suffering from dental anxiety. By eliminating the use of needles, scalpels, and dental drills for a number of procedures, fearful patients can enjoy a more relaxing experience. SIROLaser emits short, controlled waves of light that cut through soft tissue, cauterizing and sterilizing as it operates. This process effectively improves recovery by reducing post-operative pain and swelling, while decreasing bleeding and risk of infection. Additionally, these light-waves eliminate the need for anesthetic because they are often too short to generate a neural response. During what procedures can SIROLaser be utilized? Uses of SIROLaser vary depending on each patient’s case. Inquire whether you are a candidate during your next visit. If you have any questions about SIROLaser, please contact us at your convenience.